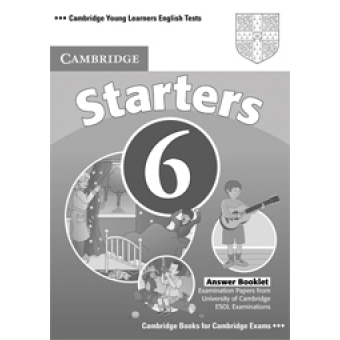 Cambridge Young Learners English Tests are designed to evaluate the English level of primary learners aged 7-12. They provide the first step towards the Cambridge ESOL main suite exams (e.g. KET, PET, and FCE). The Answer Booklet contains the correct answers to the three complete tests provided in the Starters Student's Book. A CD with the audio for the Listening part of the test is also available.